What Is Bulgarian Lavender Essential Oil? Lavender is easily one of the most popular plants and essential oils in use today – in fact, I believe it should be a staple in every home. Like most people in this modern day and age stress is something that affects almost all of us on a daily basis. In fact it’s largely considered an inevitability as we rush to and fro, trying to make ends meet and keep up with the unending changes that seem to perforate every aspect of our lives. The sad reality is that stress is more than an uncomfortable sensation – it has been linked to the formation of a wide variety of illnesses and diseases that can ultimately be fatal. Cancer, high blood-pressure, heart disease and a weakened immune system have all been linked to high stress levels. It is one of the many dangers that we seem to overlook – or have even come to accept as simply being a part of daily life in this era. But nothing could be further from the truth! Reducing stress and keeping it at a reasonable level is key to leading a happier, healthier life. There are many ways to keep your stress levels in check that don’t include the use of pharmaceutical tranquilizers or sedatives (which often come with a long list of side-effects). Regular exercise, a balanced and healthy diet and getting enough sleep are some of the easiest ways to manage your stress. 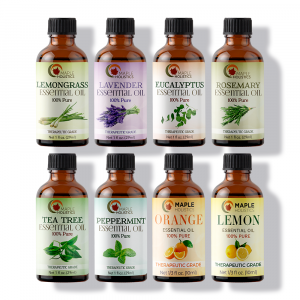 Essential oils have been used for hundreds, if not thousands of years, to treat a wide variety of illness and ailments. However, they also played a key role in the formation of aromatherapy and have been used to treat anxiety, stress and depression for many years. Lavender oil, and Bulgarian Lavender essential oil in particular, are particularly effective in helping to reduce stress and treat anxiety and depression easily and effectively. 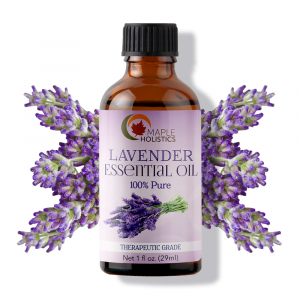 The oil produced from this variety of Lavender have a rich and multifaceted aroma and can be blended with other essential oils, or inhaled by itself to relieve your body and mind from the immediate symptoms of stress. So if you’re interested in finding a natural, organic stress reliever or are simply interested in this essential oil and its uses – keep reading! Bulgarian lavender is a species of lavandula vera which is native to Bulgaria. As the name describes – Bulgarian lavender is a species of the lavender family (lavandula vera) which is native to Bulgaria. The general air-humidity, regular precipitation and well-drained loamy soil makes for the perfect conditions for the cultivation of this plant. Because the conditions are so well-suited to growing the plant, mass-cultivation is quite easy – in fact, Bulgaria is one of the largest producers of lavender and lavender oil in the world. 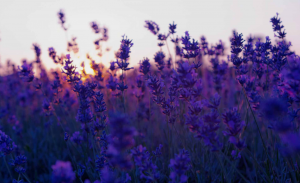 Lavender is thought to have been cultivated since as early as 600 BC and has been used in traditional forms of medicine for thousands of years. 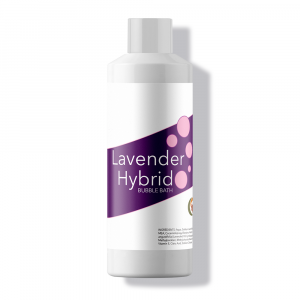 Lavender has been used as a natural insecticide and general aroma since the times of the ancient Persians. It has also been utilized as a natural treatment for stomach cramps and constipation and can be inhaled or used in a steam treatment. The plant was even used as a key ingredient in an old lice treatment, and was said to soothe the scalp of dryness and inflammation as well as reduce itching. Lavender oil is produced through a process known as steam distillation. Steam distillation is one of the oldest methods of producing essential oils and the basic principle of the method dates back to ancient Greece. A historian known as Pliny noted that when evaporated and recollected, sea water could be reduced to a fresher, less salty version of itself i.e. distillation. Since then, the technique has been developed into a mechanical process, which has naturally evolved over time. However, the process that we use today is still largely the same as the original method. The stems, leaves and flowers of the lavender are harvested and crushed (either by hand or in a mechanical press). This helps to release to phytochemicals and bioactive compounds contained within the plant. The plants are then added to a vat which is filled with boiling water. The organic matter is left to boil for 5-6 hours at high temperatures. These high temperatures help to break down the cells of the organic matter. The steam produced by the boiling water then extracts the phytochemicals from the organic matter through the process of evaporation. This steam then passes into a separate cooling chamber where it condenses to form droplets. As these droplets gather at the base of the chamber, they form the liquid that we know as the final product – essential oil. Lavandula Angustifolia ‘English Lavender’ has a light, and flora aroma. Regular lavender (lavandula angustifolia) is commonly found in the areas around the Mediterranean and the southern regions of Europe. It was first thought to have originated in ancient Persia and as the trade routes opened up, it quickly spread. In modern times it is cultivated in many different regions in the world. 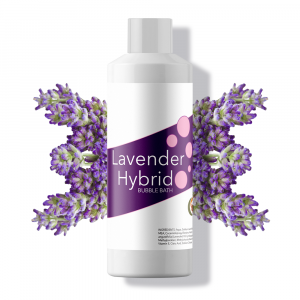 Lavandula Angustifolia (also known as ‘English Lavender’) has a light, and flora aroma – yet retains the fixative properties associated with the scent i.e. it has a lasting odor. It is a strong natural antioxidant and can be used to help cleanse the surface of your skin and the inside of your body from germs and bacteria – as well as free-radicals. It has been known to work as a natural insect repellent and is often grown around vegetable gardens to help keep bugs at bay. The plant, and the oil produced by it, is also well-renowned as a natural and holistic stress-reliever. The oil can be inhaled directly from the container or included in a steam treatment to help relieve stress as well as treat the effects of anxiety and depression. It has a wide variety of skin uses as well, and can be used as a natural skin toner to help remove dead skin cells and balance out your skin’s natural oil levels. The oil can be applied directly to your skin with a clean cotton swab and will leave your skin feeling fresh and smelling great. The oil is also known to stimulate blood flow and can help to increase cell and tissue regrowth – good for healing wounds and scars. French lavender tends to favor higher altitudes and cooler climes. Many agree that Bulgarian lavender essential oil is the best form of lavender oil. The conditions for growing lavender are perfectly suited for this plant, and therefore tend to produce a better quality yield more consistently. Bulgarian Lavender is generally grown in lower regions – which makes it easier and cheaper to cultivate en masse. 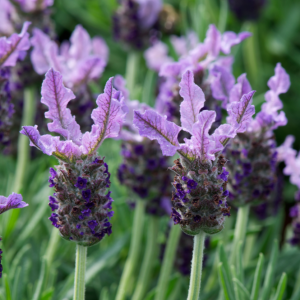 French lavender tends to favor higher altitudes and cooler climes, which naturally makes it harder to cultivate. Although the medicinal and healing properties are very similar – the only noticeable difference between the two is the scent. Bulgarian lavender has a deeper, more fixative scent with a herbaceous tone, while as French lavender has a lighter more floral tone. Each are used in fragrances for different reasons and different products depending on the specific needs of that particular fragrance or product. As I mentioned in the previous section, Lavender oil makes for a great natural skin toner. It can easily be applied to the surface of the skin with a fresh cotton swab after your normal facial routine. The rich natural antioxidants contained within the oil help to get rid of any toxins that may be lingering on the surface of your skin. This will help to keep your skin clean and healthy over time. The oil also helps to stimulate the flow of blood underneath the skin. With continual use, this can result in brighter, more radiant skin as blood helps to bring the necessary nutrients and oxygen to the skin cells. This also helps the healing process and can effectively heal (or help to treat) acne scars and wounds on your face. Lavender essential oil can also help to prevent the formation of blemishes (such as blackheads) and breakouts. By removing the dead skin cells and oxidized oil from your pores, you can allow your pores to breathe and prevent buildup – the main reason why we get blemishes in the first place. The oil also helps to kill off and remove any germs that may cause inflammation and breakouts. Bulgarian Lavender Essential Oil is often used as a natural muscle relaxant and pain reliever. Lavender Essential Oil is widely held as a natural analgesic or pain reliever. These properties have been known for hundreds of years, and the plant was often crushed up and added to herbal teas to help relieve headaches and general pain. 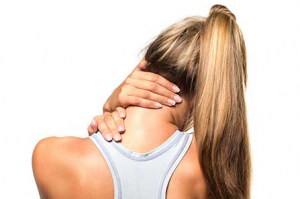 Because the oil is absorbed into the bloodstream easily and can penetrate beneath the surface of the skin, it is often used as a natural muscle relaxant and pain reliever. It’s effective on rheumatoid pains including joints, spasms and sprains. In my opinion it’s an essential addition to any gym bag or to have nearby for if you exercise regularly or run/hike on a regular basis. The oil can also be added to teas or used in steam treatments to help remove general bodily pains and headaches (as I mentioned above). The oil is quite effective and doesn’t come with the side-effects that we generally associate with most conventional pain-killers or tranquilizers. It will also help to stimulate your senses and make you feel calm and at ease, so you’ll be able to relax more and not focus on the pain as much. It’s definitely worth having a vial of this oil in your home during cold winters or flu season. Most of us have experienced the flu at some point in our lives and the cough or sore throat that generally tends to accompany it. I’m sure you’ve also tried using the over-the-counter medications that are designed to treat the flu and the various mixtures that are made to help soothe a sore throat and relieve your cough. The trouble is that these medications can often make you feel drowsy or are ineffective (it’s usually the sleep that’s induced by them that helps you to recover). Not to mention the fact that cough mixtures can be harmful to you if you take the wrong dosage. However, none of these problems come from using lavender oil as a treatment. By inhaling the oil directly from the container, or utilizing it in a steam treatment, you can effectively help to soothe a sore throat and loosen up phlegm that may be worsening your infection. The oil also helps to strengthen your immune system and flush out toxins or bacteria that cause you to be ill in the first place. Unlike most conventional treatments, lavender oil helps to treat the infection from the root cause, not only the superficial symptoms. It’s definitely worth having a vial of this oil in your home during those cold winters or around flu season. After a week of good sleep – you’ll feel happier, more energized and healthier. Anyone who’s ever had problems with sleep issues knows how damaging the effects can be on your health and life in general. In fact, studies have shown that irregular sleeping patterns, or not getting enough sleep on a regular basis can lead to the development of various illnesses and ailments later in life. These range from having a weaker immune system and increased weight gain, to more serious issues like depression and even cancer. So, enabling your body to get enough rest is important for leading a healthy life. Without enough sleep, your body cannot regenerate the strength and energy it needs to defend itself against infection or stimulate healthy cell and tissue growth. These are essential for healing wounds and preventing disease and infection. If you’re having problems sleeping – stay far away from conventional sedatives or tranquilizers. They’re dangerous and highly addictive. Instead, I would recommend blending Lavender oil, Ylang Ylang and Bergamot oil in a diffuser, as well as adding 2-3 drops of each to some steaming water. 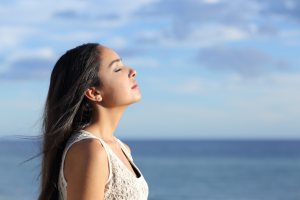 As you inhale the steam, you’ll soon feel your mind and body relax and unwind. After 5-10 minutes, you should feel calm and ready for a good night’s rest. You can even add a few drops of the oil to your pillows to help induce a long, peaceful sleep throughout the night. 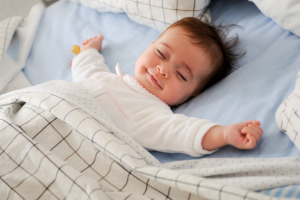 After a week of good sleep – you’ll feel happier, more energized and healthier in general. Most insect repelling balms or sprays tend to contain harmful chemical additives. If you live in an area that is commonly affected by insects or you enjoy spending time in the outdoors, then you’ll know how important having a good insect repellent is. Being bitten is annoying, painful and can even be harmful – so avoiding insects is definitely a necessity. Most of the common insect repelling balms or sprays tend to contain harmful chemical additives that cause irritation on the surface of your skin. On top of this, the toxins can easily be absorbed into your body through your skin or olfactory gland (situated in the nose) and eventually make you ill. So, if you’re trying to keep insects at bay without risking your own health to do so, then I’d highly recommend using lavender essential oil as a natural and healthy alternative. The oil’s scent is strong and has fixative properties – meaning that it will last a long time once applied. It can easily be rubbed onto the exposed parts of your skin as well as burned in an oil burner to help deter insects. The oil can also be added to DIY candles and burned as an effective insect repellent. It also has a great scent and will help to soothe and nourish your skin, whilst healing previous insect bites. As with anything in life – too much of a good thing can be bad for you. 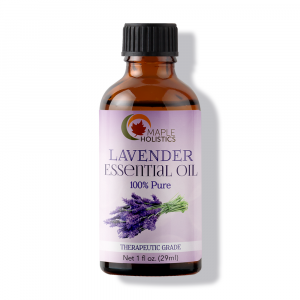 Lavender oil is largely considered a safe, non-toxic substitute to many of the conventional, pharmaceutical treatments we know so well in this era. The truth of the matter is that they come with loads of harmful side-effects that could potentially ruin your life, let alone worsen your current level of health. That being said, there are some basic rules that come with using any essential oils. If you stick to these, you shouldn’t ever have any problems. Firstly, it’s best to avoid all essential oils during pregnancy and on children under the age of 8. Although they’re all-natural, they’re still quite potent and can affect you and your child’s hormonal balance as well as the birthing process. If you do decide to use them during pregnancy, it’s best to consult a doctor first. Besides that, simply patch testing any essential oil on the surface of your skin is a good way to ensure that you don’t suffer from an allergic reaction. If you know you’re allergic to particular plant, stay away from that particular essential oil. Finally, only use the oil in regulated doses, as using too much can lead to an upset stomach or headaches. So balance is key and if you use the oil responsibly – you shouldn’t have any problems. Read On: Fragile Hair, What is Dandruff? and Seborrheic Dermatitis – it’s all here at Maple Holistics! 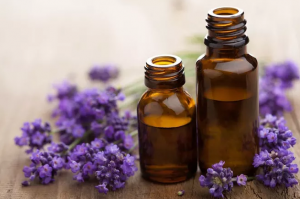 To conclude, I’ll reiterate what I said in the opening of this article – I would recommend that bulgarian lavender essential oil becomes a staple in every household. It’s a tremendously useful natural oil and can help to treat a wide variety of ailments and illnesses. Bulgarian Lavender essential oil is particularly useful because it’s a highly concentrated form of the of the plant and is rich in phytochemicals and naturally occurring compounds. It has a lasting and wonderful scent that can help to stimulate the sense and help you unwind. If you’re looking for a natural flu treatment or even just want to relax and unwind more often – Lavender oil is perfect for you. It is a readily available and cost-effective alternative to the conventional medications available on the market and is better for your overall health and happiness levels. Bulgarian Lavender Essential oil definitely ranks high on my list of essential oils. The results will speak for themselves.